Seen when attempting to update your iPhone. transfer these items to your iTunes library before updating this iPhone. Are you sure you want to continue? 1. Firstly remove the warning by clicking "Cancel". 2. 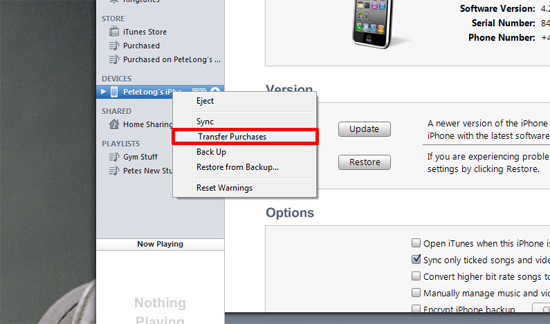 With iTunes running and your iPhone connected, locate the phone which should be listed on the menu on the left hand side, Right click the phone and select "Transfer Purchases". 3. Wait for it to complete then re-try the update process.